Omelettes: tasty and easy to make! Well right now I’m on a train heading back to Portsmouth after my lovely de-stressing weekend at home. I know, I usually have my car and I’ll go into details on why I don’t in the next post so bear with me. Whilst I’m here I might as well teach you how to make an omelette. First, some basic omelette knowledge from that all knowing deity, Wikipedia! 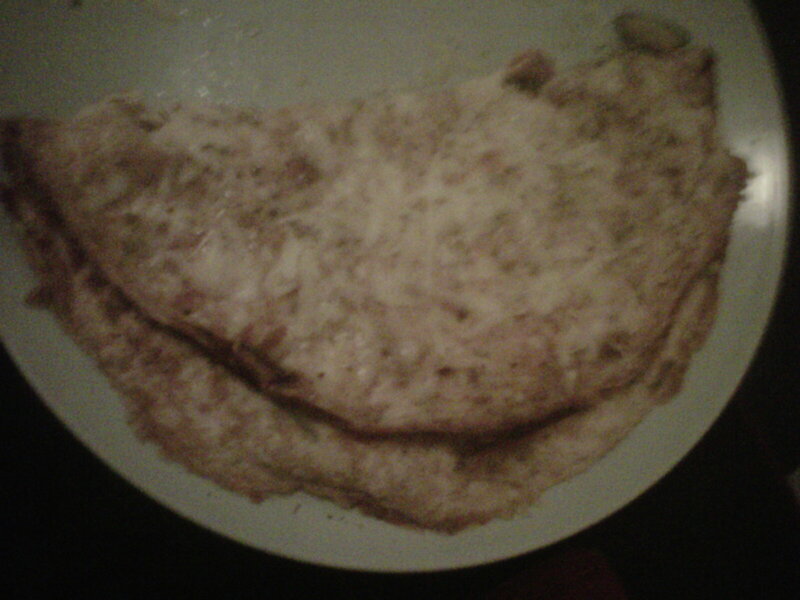 An omelette is a dish made from beaten eggs, cooked in a frying pan with a small amount of butter or oil. This can be served plain or with a variety of different meats and vegetables added in. It is thought to have originated in the Ancient Near East. Beaten eggs were mixed with chopped herbs, fried until firm, then sliced into wedges. This is then thought to have travelled to Western Europe via the Middle East and North Africa, with each country adapting the original recipe to produce Italian frittata, Spanish tortilla and the French omelette. Ready for a recipe? BOOM! This could not be easier to make so here we go. Crack the eggs into a jug and beat with a fork until mixed together. Add a splash of milk, enough to allow the mixture to spread comfortably over the pan. Stir in the salt, pepper, paprika and herbs to season the mixture. Heat the oil or butter in a frying pan then add the mixture and cook gently for about 5 minutes. Pop the pan under the grill to ensure the top of the omelette is cooked and viola! A perfect omelette! Pop it on a plate and fold it in half to serve. Of course, what fun is a plain omelette? My cooking is about experimenting and playing around with different ingredients to get new, tasty combinations so give anything a try and add it to the mixture to give your omelette a boost! Fry the mushrooms before adding the egg mixture, then grate the cheese over the top and sprinkle in the ham. Fry the red onion and peppers in thin strips then add in the mixture. Use more paprika in this version to give it a slightly more spicy kick! In this, fry off red onion, courgette, peppers, mushrooms and some spinach before adding the mix and grating a bit of cheese over the top to stick everything together. Obviously, experiment with your food! Try new ingredients and see what happens! Above all, enjoy cooking! It should be fun! I am a person that never wants to stop learning. I’m sure that almost everyone is like myself in this way, we all want to know things. Whether it is simply trivial things like who your best friend is dating or more challenging things such as an understanding of particle physics, we ll want to know things. That’s why we have universities and libraries and Wikipedia. Personally, I want to know about quite a lot of things. Obviously, I want to learn more about Geography, a passion of mine which I am achieving through my degree. So that’s one down. However, I also want to learn more about languages, history and religion. A lot of the books that I read in my free time are based on historical concepts and events and also quite a few of them are based around a religious experience, figure or event as well. So I get to learn a bit, but there’s always time for more. Luckily for all of you out there that are like myself, massive knowledge hoarders, there are some wonderful ways to learn that can be taken anywhere at any time. If you like to read books, there’s always libraries so check your local council website to find out where your nearest one is! If you prefer lsitening to your learning there are tons of podcasts out there that you can grab and download. iTunes has an absolute shedload of these! Thirdly, if you prefer to watch videos then there are lots of channels on YouTube where you can do this. A personal favourite of mine is Crash Course, a new channel that is set up by the VlogBrothers John and Hank Green where they teah you about Biology and World History. I’ll put a link to the playlist of each of these at the end. Also by Hank Green is Sci Show where he teaches you about science. I’ll also chuck a link in to Sci Show. So keep looking for things and keep learning! If you have an recommedations for books, podcasts or video series then let me know in the comments! Right now, I can’t sleep. I don’t know why but I just cannot get to sleep. I lay here and try to relax and my mind just whirrs and buzzes, refusing to power down. I’ve tried everything. I’ve counted sheep, I’ve counted backwards from a hundred (an old family favourite for when I couldn’t sleep as a child), I’ve thought of happy memories of peacful places and still nothing. Nada. Zip. Squat. My predicament isn’t helped by the fact that my house has incredibly thin walls and the guy that lives next door has a particularly loud snoring problem. Yes, if you happen to read this, you are not helping this matter. Classical music and smooth jazz haven’t helped either. I’m very tired but just cannot get to sleep. I hate these nights. This book was really quite interesting to read. As an avid Tolkein fanboy, I’m always looking for new insights and tidbits into the worlds he created. Sean Astin’s book does just that, amongst other things. The book opens with a brief look at Seans life leading up to the films, after he was a child actor (The Goonies, though mentioned a few times, aren’t explained in vivid detail. Something I can only be thankful for). It provides a good look at some of the behind the scenes stuff with LoTR and how he felt as an actor whilst filming it. At times, it seems as though Astin is a bit of a petulant child, moaning about how Ian McKellen never had that much time for him personally, amongst other things. That said, it’s refreshing that Astin acknowledges this and admits it is one of his flaws. All in all, a good book for Tolkein fans! Keith Lane is not a writer. He is just a man that walked along the cliffs where his wife killed herself, everyday. Keith Lane also saved a lot of lives. In his book, Lane shares his feelings and experience of everything that happened to him, from meeting wife Maggie, to her tragic demise and on to becoming the ‘hero’ that he is. I use inverted commas there not because I don’t think of Keith as a hero but because I’m sure he wouldn’t think of himself that way. He’s just a guy that patrolled the cliffs. In a very poignant story Keith tells all and hopefully inspires people to try to be decent in their daily lives. A truly lovely, if a bit sad, read. A dystopian future, unlikely romance, violence and a shady conspiracy. What else is there to a smashing book? Roth delivers all in her novel about young teen Tris and the strange circumstances she finds herself in for being a bit different to everyone else. I have nothing else to say apart from: GO READ THIS BOOK!!! Albert Rossi, the gentlemans outfitter from Eastcote finds himself in the unlikely situation of becoming a hired assasin. A true parody of the Bond series, Quantum of Tweed grips you all the way through, with its only flaw being that it is much too short! Every now and then, a book really grabs you and won’t let go. It starts screaming at you when you aren’t reading it, because you SHOULD be reading it. This is one of those books. TNoTS is chilling, funny and just downright spectacular. I thought it may be a bit girly for me, it’s told from the perspective of a teenage girl at a London boarding school, but I was shocked by how un-girly it was. A new Ripper terrorises London, following in the footsteps of old Saucy Jack, the original Ripper (I’m aware that made him sound a bit more ‘gangsta’ than he needed to be…). Terror breaks out and Rory, our protagonist, is in the middle of it all! Is the Ripper caught? Does Rory survive? If you want to know, or even if you don’t want to know, READ THIS BOOK! You will thank me later.